Not every job in life requires a gas-guzzling V-8 engine and a vehicle that makes parking virtually impossible in a crowded area. For those jobs, the 2014 Toyota Tacoma in Lima, OH is the perfect alternative. Don’t get us wrong, the Tacoma is one hard working vehicle. With choices of two very capable engines, a 4-cylinder or V-6 engine, the Tacoma provides full-size power in one of the most efficient pickup packages on the market. Leading the way in MPGs, the available 2.7-liter 4-cylinder engine on it 2x4 option will get you cruising on the highway at 25 mpg and as the option to be paired with automatic and four-wheel. If towing is what you are looking to do, the 4.0-liter V-6 provides a healthy 236-HP that can move trailers weighing up to 6,500 lbs.! Four-wheel drive can also be paired with the Tacoma’s V-6 option for trail-conquering and tough road condition abilities. Now that we have it in stock, it's your turn to try out the 2014 Toyota Tacoma in Lima, OH in person. Schedule a test drive today and experience the difference. Interested in a 2014 Toyota Tacoma? 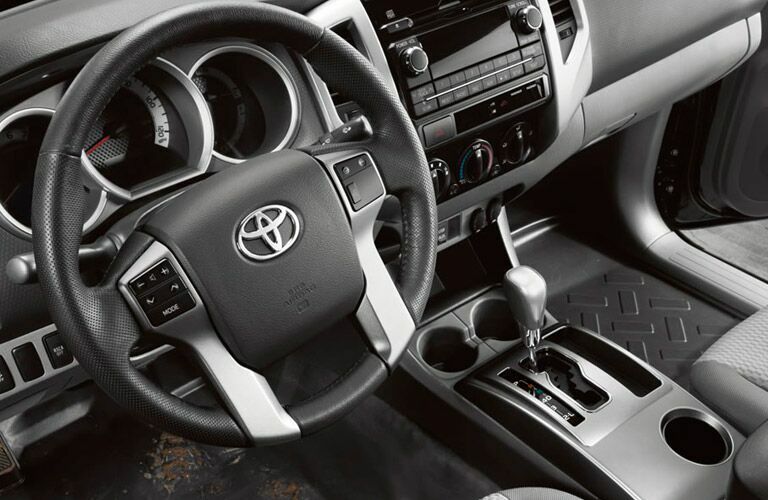 The 2014 Toyota Tacoma in Lima, OH gets right down to business by offering very user-friendly controls. Large knobs and easy-to-clean surfaces cover practically every surface on the interior, which makes the Tacoma a very practical hard working truck as well as a convenient everyday driver. The seats are made of highly-durable and very supportive fabrics that clean up easily after a hard day of playing in the mud where they hold a like-new luster for many miles down the road. Each Tacoma is fitted with an intuitive touchscreen display that adds in nice technology features into the driving experience. Plenty of options for upgrades can be had depending on which cab and trim level you choose. The 2014 Toyota Tacoma in Lima, OH is a truck for everyone. With choices of regular, extended and the passenger friendly crew cab option, family life as well as work can be well-balanced depending on which configuration suits your needs best.To keep everyone safe, the Tacoma is equipped with the trusted Toyota Star Safety System™, a suite of safety features that includes: a reassuring airbag system featuring front passenger airbags with the Advanced Airbag System, front passenger airbag cutoff switch, driver and front passenger seat-mounted side airbags and front and rear side curtain airbags. 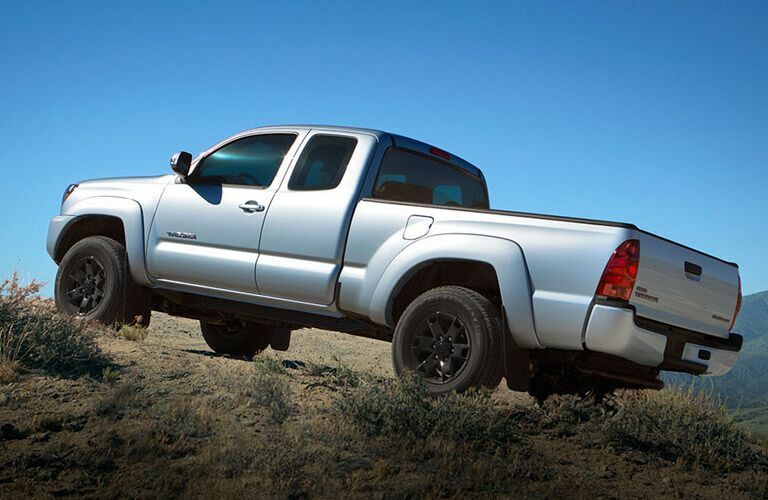 Want to learn more about the 2014 Toyota Tacoma? Contact the professionals at Allan Nott Toyota today and we would be happy to answer any questions you may have!